CeBIT, the largest tech trade show in the EU takes on a new format this year. New branding, colours, show themes, themed areas, an optimised hall layout, new in-show events, and freshness will welcome 200,000 participants from 70 nations this June in Hannover, Germany. There will be over 300,000 exhibitors (exhibit & product display) and 3,000 plus companies participating. The show dates have been moved from mid-March to mid-June. 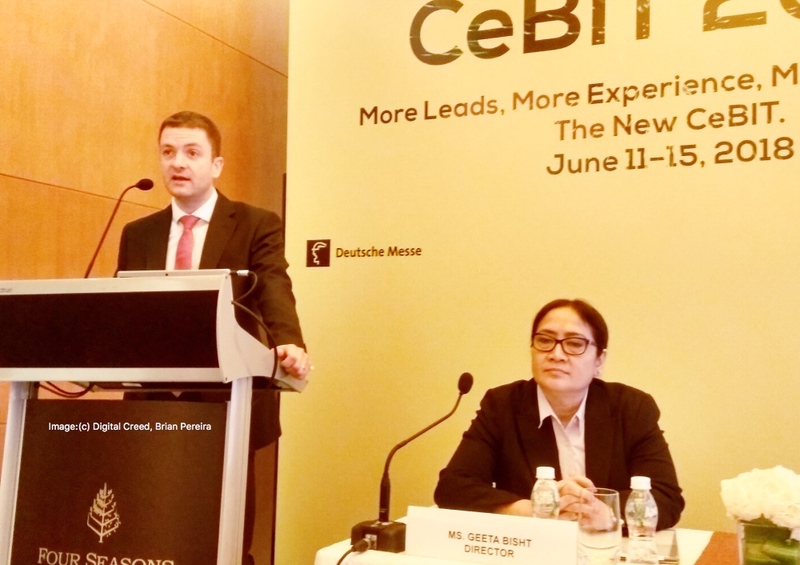 CeBIT will be a five-day event, held between June 11 – 15 . CeBIT is changing from the trade fair (that it was for years) to a business festival for innovation and digitization. Photo caption: Hubertus V. Monschaw, Global Director ICT & Digital Business, Deutsche Messe & Ms. Geeta Bisht, Director International Fair’s, Hannover Milano Fairs India Pvt. Ltd. (seated). There will be eight themes (and keynotes) on digitization this year: artificial intelligence, Internet of Things, Augmented and Virtual Reality, Security, Blockchain, Drones & Unmanned Systems, Future Mobility, and Human Robotics. The confirmed “rockstar” speakers for the show are: Jaron Lanier, Mikko Hypponen and Dan Lyons. Jaron Lanier is an American computer scientist, who works for Microsoft Research. He is a legend and is well known among VR fanatics and the Web’s fiercest critics. Dan Lyons authored the book ‘Secret Diary of Steve Jobs’. He will share his experiences as a young employee in what he calls “startup hell”. Lyons (also known as ‘the fake Steve Jobs blogger’) was a senior editor at Forbes magazine and a writer at Newsweek before becoming editor of ReadWrite. He is now with Hubspot. Mikko Hypponen is a renowned international computer security expert and columnist. Mikko is also the Chief Research Officer at Finnish security company F-secure. He’s known for the Hypponen Law about IoT security. The presentation by “memory hacker” Dr. Julia Shaw promises fascinating insights into human psyche. On 13 June, the London-based memory researcher will show CeBIT business attendees how human memory can be manipulated and will outline what it means in practical terms. On 12 June, Mikko Hypponen will explore the biggest risks associated with the booming Internet of Smart Things and explain how companies can protect themselves against cyber attacks. More exciting speakers will confirm their participation and will be announced on the CeBIT website. The new CeBIT format comprises four main sections: d!conomy, d!tec, d!talk and d!campus. 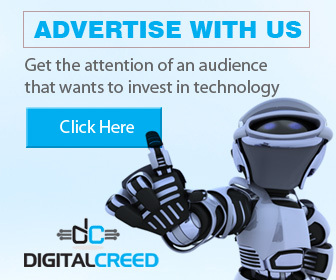 The innovations on display in the d!conomy section give IT professionals and decision-makers from business, trade and the public sector the tools they need to futureproof their operations through digitization. The key d!conomy exhibition topics will include Digital Business, Digital Administration, Internet of Things, Security, Communications & Networks, Channel & Distribution, Mobile Solutions, and Data Centers. The d!tec section of the show is all about pioneering developers, cutting-edge innovations and startups. The d!talk conference, which was the erstwhile CeBIT Global Conferences, will be the stage for visionaries, lateral thinkers, experts and creatives from all around the world. And d!campus is the emotional heart of CEBIT, where everyone can mingle freely and network while chilling to live music and street food. 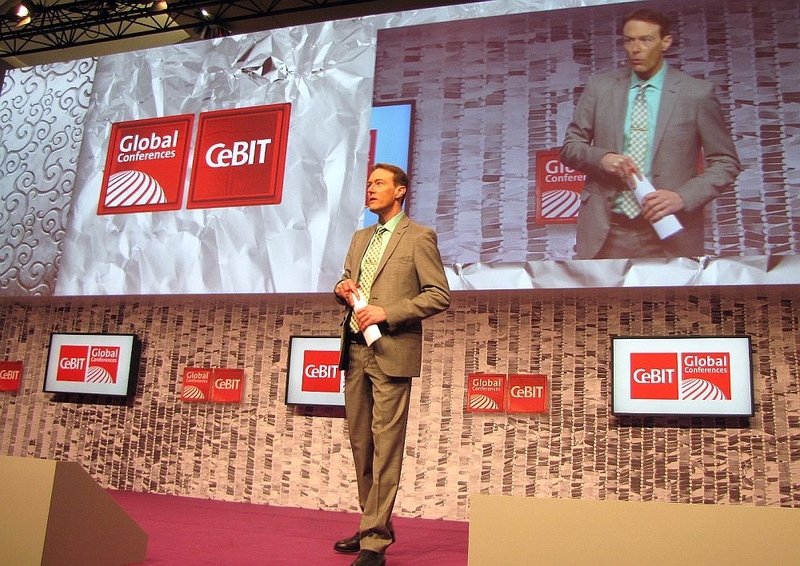 The first day of CeBIT, Monday 11 June, is reserved for conference attendees and journalists. Monday’s events will center on the digital challenges in Germany and Europe. The Welcome Night, featuring high-ranking political leaders from Germany and abroad, will round out the day’s program and set the scene for the three business-centric show days that follow. On “Digital Friday” (15 June), CeBIT will target the digitally-minded general public with an attractive lineup of events plus reduced admission charges (discounted tickets). The Friday d!talk and CeBIT!Signals platforms will be central meeting hubs for the international blogger scene. The organizers are also planning to run hackathons for coders and developers, competitions for drone pilots, and recruitment events for students and digital professionals. This year’s CeBIT will also feature a completely revamped layout: Halls 9 to 13, 14 t o 17 and 25 to 27 as well as the central open-air site around the EXPO canopy will be the venues for a whole host of exciting new activities, showcases and networking events. The exhibition stands in the halls will be open from 10 a.m. to 7 p.m. The d!campus will stay open till 11 p.m. and feature a vibrant program of digital culture, street food and live performances by popular artists, such as German hip-hop star Jan Delay, who will be whipping out a storm on Wednesday evening (13 June). According to Ms. Geet Bisht, Director – International Fair’s, Hannover Milano Fairs India Pvt. 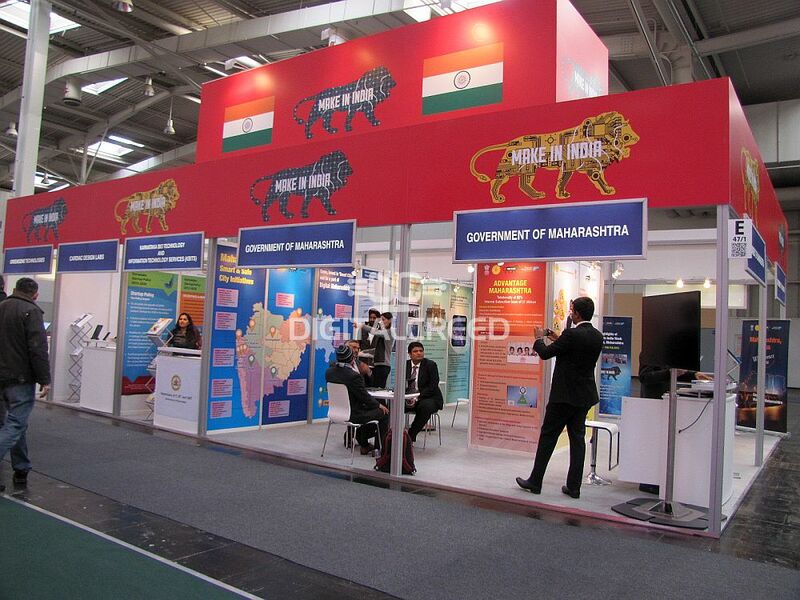 Ltd., 40 Indian companies are participating at the CeBIT 2018 tradeshow, with another 90 or so expected to confirm. Five state governments (Goa, Kerala, Karnataka, UP and Orissa) have confirmed their participation. In addition to the State pavilions, there will be a group of companies in the India Pavilion, led by ESC. CTA: For more details on participation at CeBIT write to Ms. Priya Sachdeva (priya.sachdeva@hmf-india.com) or call +91 9819515983. We have been following CeBIT for many years and have also visited the trade fair. The new format is a welcome change. The vast exhibition and conference halls are now closer together and that means less walking! Although there are shuttle vans to take visitors across the fair grounds, it can get tiring for a visitor to cover the whole exhibition . We also see that the Conference is spread across the halls instead of being concentrated in one hall. The organizers have done away with a seperate ticket price for the conference; there is one ticket price now that includes conference + exhibition. The other good news is Blogger or influencer day on “Digital Friday” 15 June — bloggers will love the reduced ticket pricing.